The weather is so nippy and nasty here, it puts me in a diy state of mind! I don’t want to go outside in the freezing cold snow so I’m going to opt for a good do it myself project in my cozy warm house instead! Here are a few of my favorite ideas I have stumbled across lately. 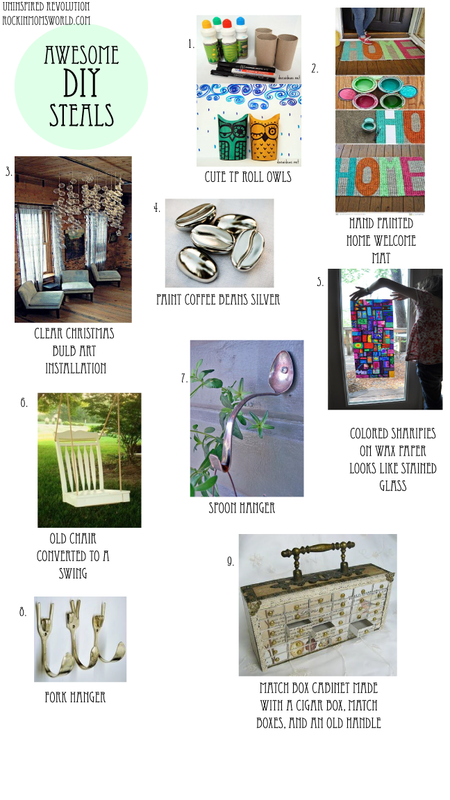 I hope you can pull some inspiration from these creative projects! Stay warm!